The Orbital crystalite high ball is a curved modern style with a delicate spiral pattern towards the solid base of the glass. 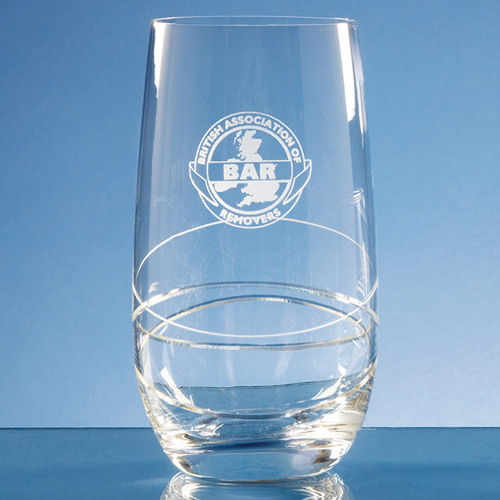 There is an engraving area where the glass can be personalised using any logo, crest or wording. The crystalite high ball would make a great gift and will be treasured by the recipient. Also available in the Orbital range are champagne flutes, high balls and whisky tumblers.